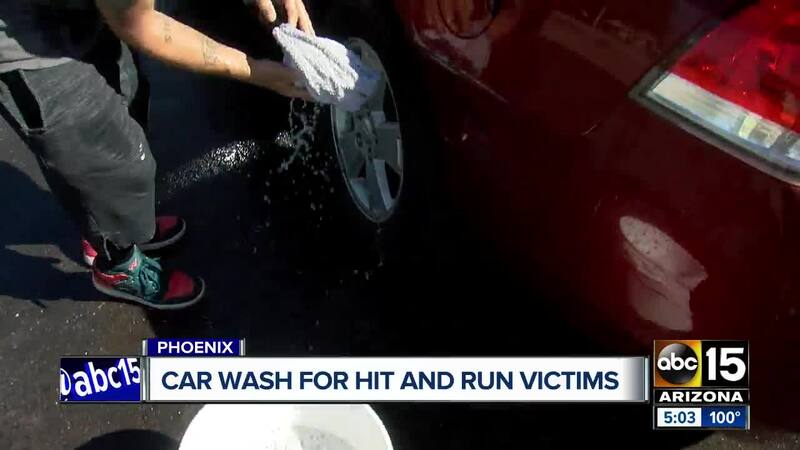 A car wash fundraiser was held by the family of two hit-and-run victims in Phoenix on Sunday to raise funds for funeral services. 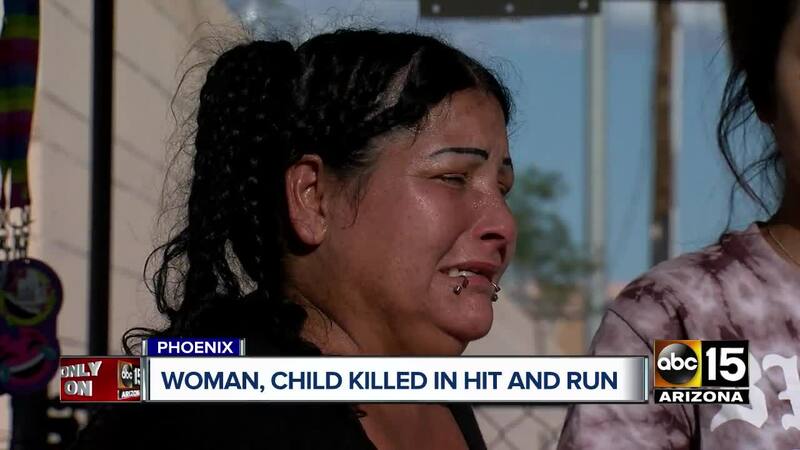 A woman and child are dead after being struck by a car in south Phoenix on Friday night. 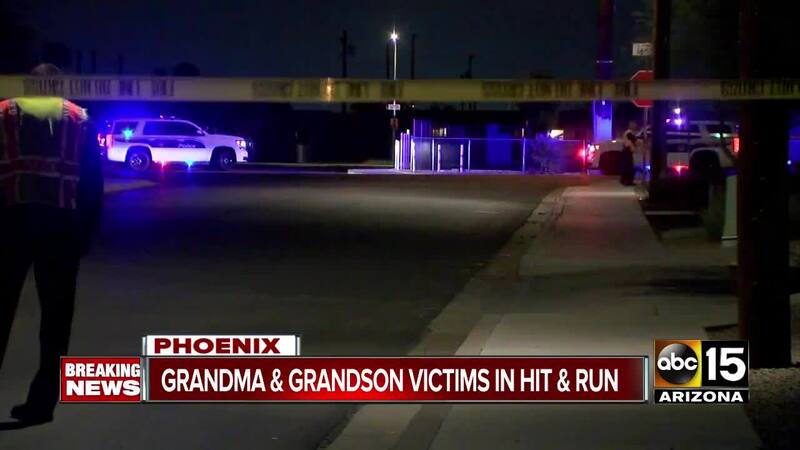 According to Phoenix fire officials, the crash happened near 16th Street and Broadway Road around 8 p.m.
#BREAKING Phoenix PD working a deadly car/pedestrian accident at 16th St & Marguerite. Witnesses reported seeing an older model SUV traveling northbound on 16th Street when it struck the woman and child, who were not in the crosswalk. A 3-year-old boy was taken to an area hospital in extremely critical condition where he later died, police said Saturday. 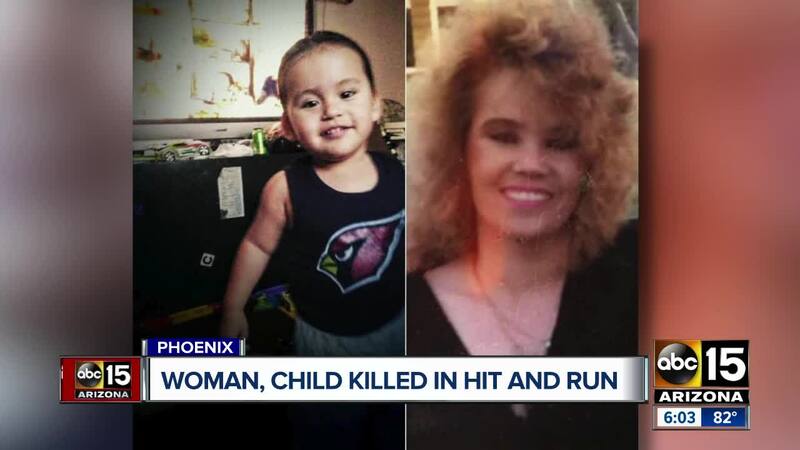 The victims have since been identified as 52-year-old Wanda J. Trujillo and 3-year-old Enoch Trujillo. Brother and sister, Jenny and David Rodriguez, were the first ones to take action at the scene after the collision. "Maybe if we could've gotten there a little earlier things could've been different," said Jenny Rodriguez. "We just wanted to do the right thing." Both are trained as first responders. "I did everything I could to try to save him," said David Rodriguez. "The child had his last breath in my arms -- it... it was a tough experience." "I lost my grandson and it hurts so much. I think I left my heart when I went to describe it was him. I think I left my heart there," said Priscella Molina, Enoch Trujillo's grandmother. "My daughter lost her baby and we're just -- we're just hanging in there." 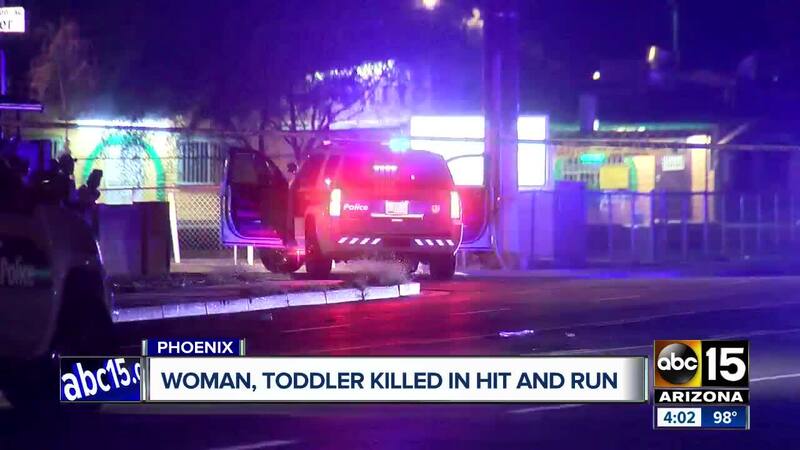 A 3-year-old boy is fighting for his life. The suspect vehicle did not remain at the scene after the crash, police say. Anyone with information is asked to call the Phoenix Police Department or SILENT WITNESS at 480-WITNESS. "Turn yourself in so we can have some sort of peace in our heart," Molina said. Neighbors tell me the victims are a grandmother and her grandson. The son/father was hysterical when he found out. He’s at the hospital where his 3-yo is fighting to stay alive. — Zach Crenshaw ABC15 (@ZachCrenshaw) September 22, 2018 ABC15 has a crew on scene and will continue to provide updates once more information becomes available. The family held a car wash on Sunday, September 23 to raise funds and accept donations for funeral services. A GoFundMe page has since been set up by the family.